I LoVe being organized. For me, it is not just that things are put away in their proper place, it is a state of mind. When things around the home are cluttered, my brain is cluttered, not allowing me to relax. When I was in graduate school, I could not begin my long hours of studying and consuming coffee beans to stay awake, until the house was “straightened.” I am no organizational guru by any means, but I can share some ways I keep me and my family organized inside our home. We love the outdoors and adventures, and a garage full of “toys” and equipment to prove it. Organization for outdoor activities would have to be a blog post in and of itself. Mental note made. The first item of organization in our home is our mail envelopes. When mail comes in, it gets dispersed. Trash goes into recycling. Who am I kidding, the sorting usually happens after it sits on the counter for a day or so in one big pile. I purchased these from Target a while back on clearance. They are part of the Real Simple brand. To keep us organized so we can head out of the door on time, IKEA comes to the rescue with what is suppose to be a shoe bin. We each have a drawer where we keep our sunglasses, wallet, volunteer badge for school, coupons, keys, etc. – all the little things that seem to grow legs. 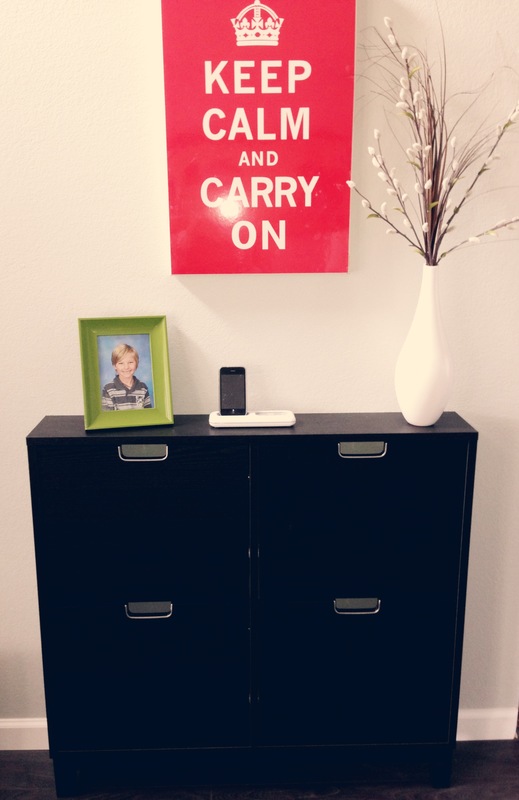 By placing things in our drawer, we can grab them as we walk out the door just a few steps away. N has friends who like to visit. It snows in CO. 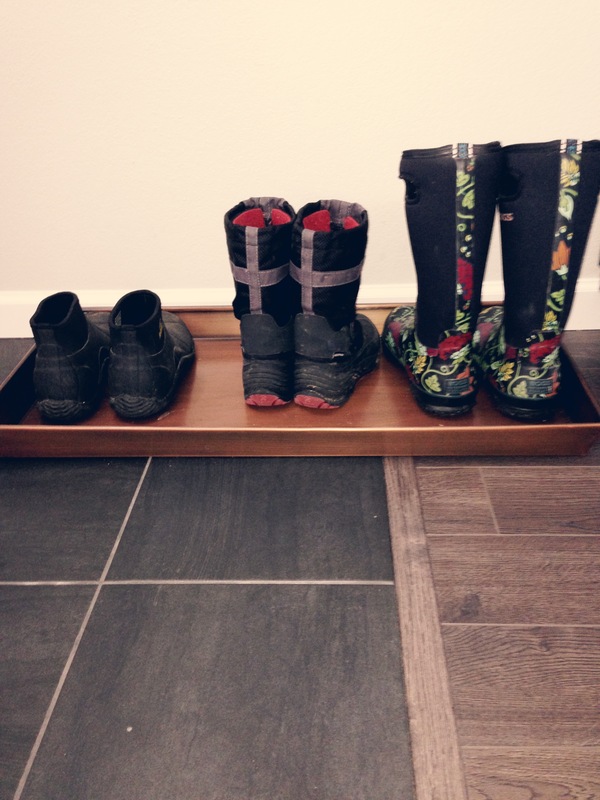 So, this boot tray holds our snow boots and any kids’ shoes who come to play. So convenient because each kid knows exactly where his/her shoes are located. There is no need for a game of seek-and-find when it is time to go home for dinner. And, my floors stay cleaner longer. 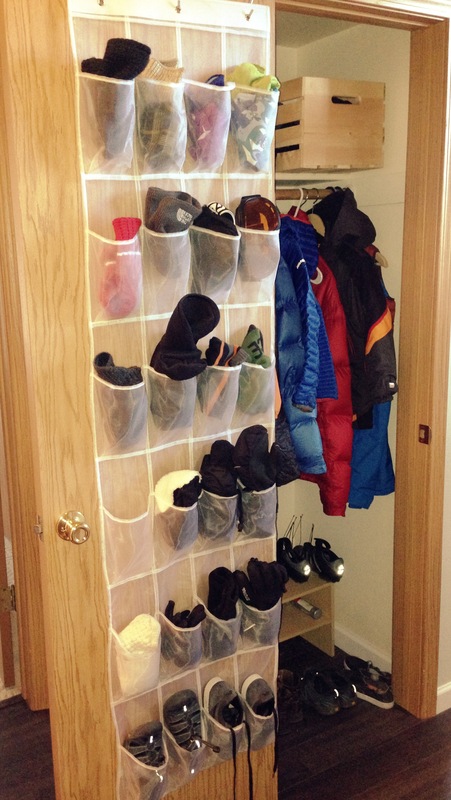 If the kids have a place for their shoes, they need a place for their coats and hats. 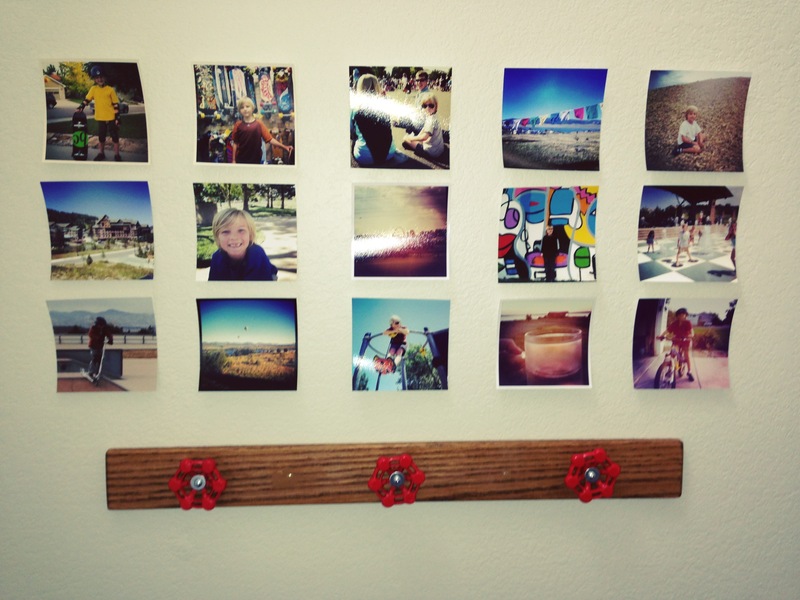 So, the hubs and I made this simple coat rack out of water valves. Super cheap project that you can read more about here. Again, no game of hide-and-seek when the parents come a callin’. And since this little baby hangs on the wall, it takes up no space. Speaking of coats and hats…We have a shoe hanger right inside of our coat closet where we keep the gloves, hats, balaclavas, scarves, ski goggles, etc. that we use so often here in CO. Another system of grab and go which just makes life run a little smoother. I walk my N to school every day, so having these things readily available saves us valuable time. In our home, we have a very small laundry room. Luckily, there is only 3 of us. This basket drawer system works great. We each have a drawer and as I fold, I place the clothes in the appropriate drawer. Just like the mail bins, every one empties his/her drawer. Well, this is how it is suppose to happen. 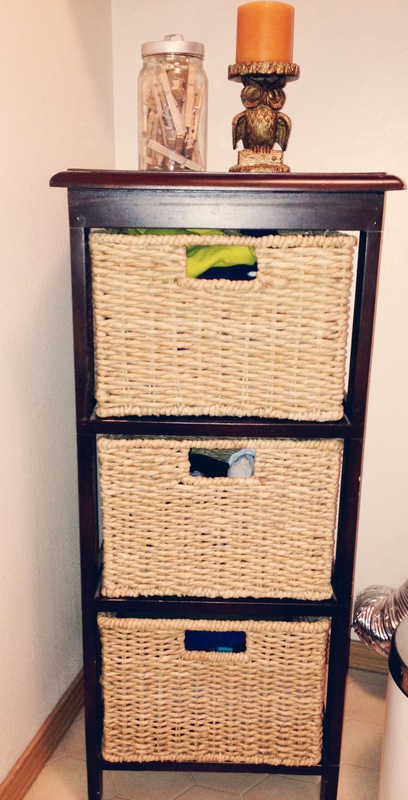 The baskets are super easy to carry upstairs, so even N can put his own clothes away. On a side note, I cannot wait to remodel my laundry room. And now to the toys, children’s toys. 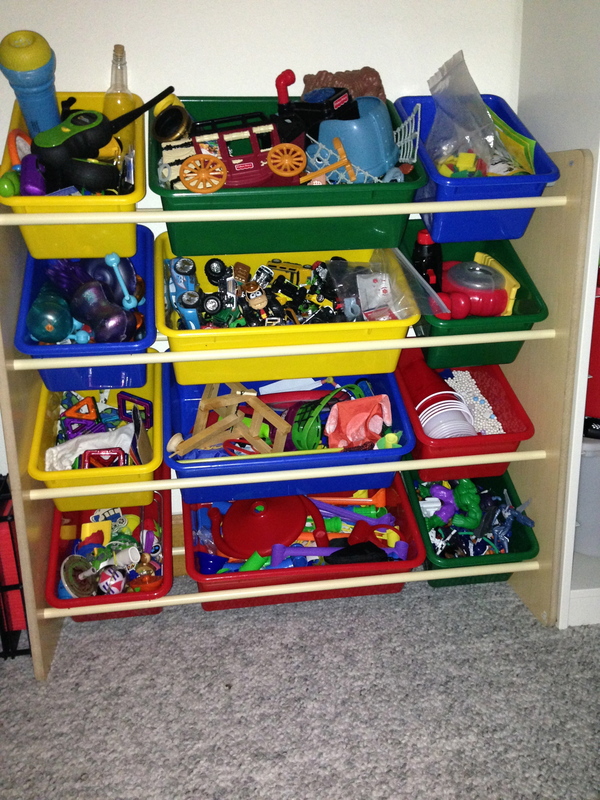 The majority of N’s toys are housed in a double closet in the basement. IKEA comes to the rescue again. 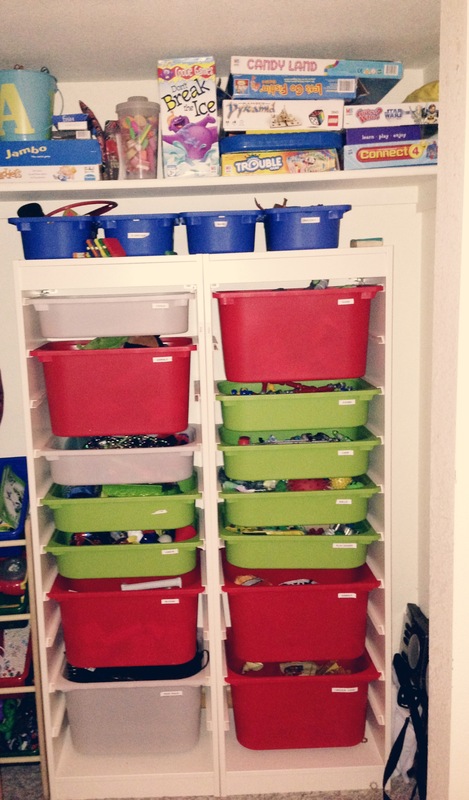 Labeled bins are the answer to tame all that clutter. The kids love it because they can find exactly what their little hands want to play with for that second in time. It certainly makes clean up easier, as well. 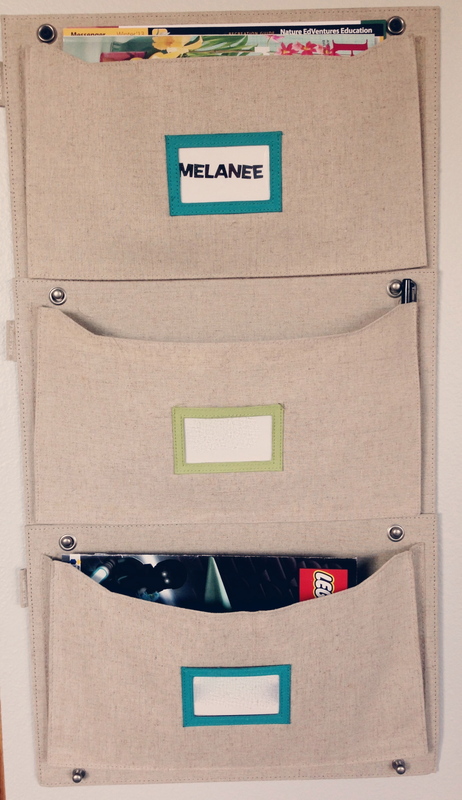 And one final organizational tip for you that involves mine and N’s craft supplies. I purchased this little baby at Michaels right before Christmas. I hope these tips can help you become more organized in your home. What is your #1 organizational tip? Does being organized help your state of mind? Please share. If everything (well, most things) is in its place, I feel a sense of calm. Sometimes, it is the little things. @Teeny Bikini, thank you so very much for your sweet comment and for visiting and commenting. I hope you visit again soon.